My quilt for do. 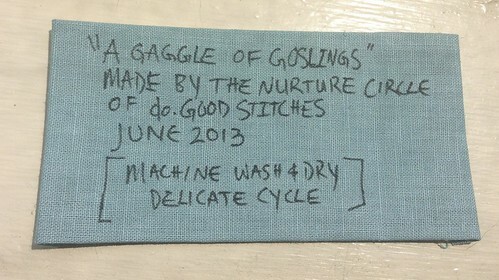 Good Stitches has an official name – “A Gaggle of Goslings”. It was completed with the help of the Nurture Circle of do. Good Stitches using the no-waste flying geese method. 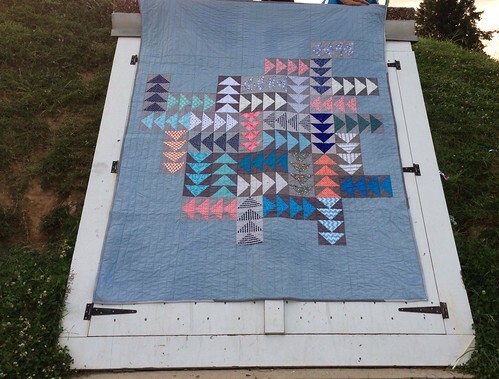 I quilted it with straight lines 1.5″ apart using King Tut 40 wt variegated blue thread. 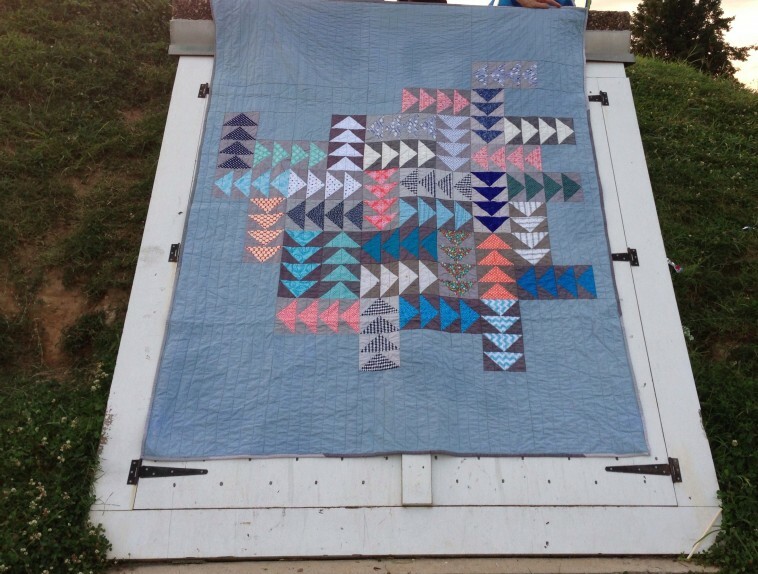 It is machine bound using a zigzag stitch for durability as this is a quilt for a kid. The background fabric is Dusty Blue Essex linen. I backed it using an IKEA print and bound it in scrappy grays contributed by circle members. 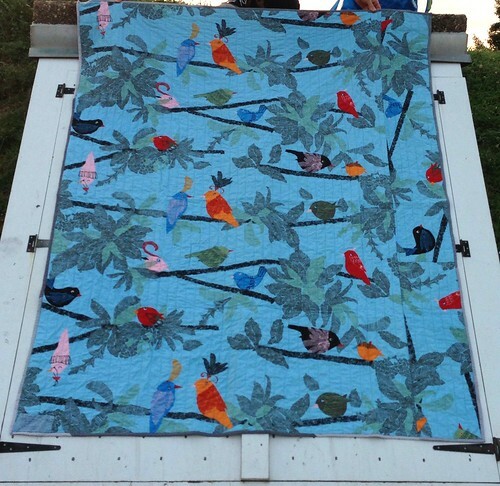 This quilt finished approximately 66″ x 84″. I will send it off to My Very Own Blanket soon!